An imaginarium is a space devoted to stimulating and cultivating innovative inventions. In this space, creative ideas are taken from inception and forged into reality; then distributed for use in The Salvation Army. 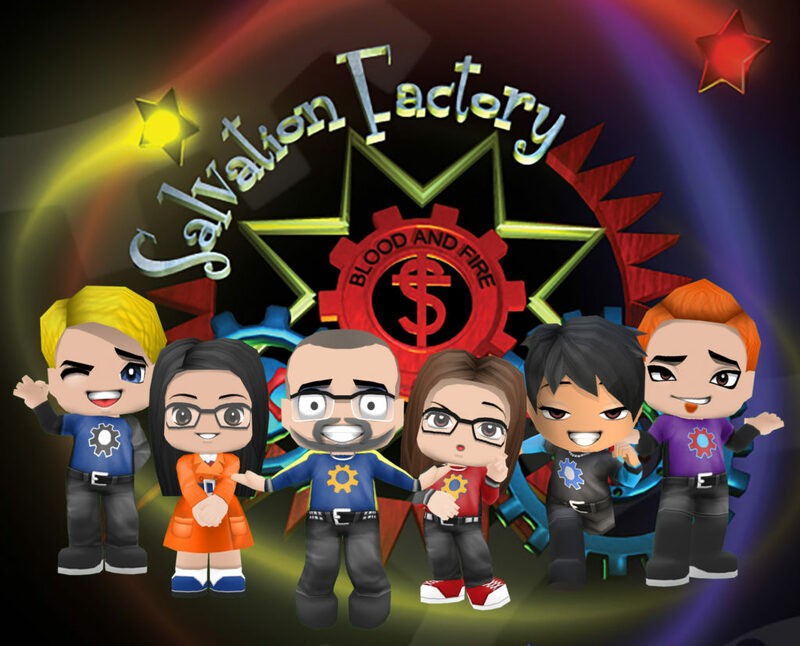 ‘Engineers of Salvationism’ refer to the people who are part of Salvation Factory, either as a staff member or part of the growing network of ‘Imagineers’. These individuals use their area of expertise to contribute to the variety of projects assigned to Salvation Factory. Salvation Factory does not consider itself to be the source of all creative and innovative ideas. Rather, it seeks to be a hub which connects with the distributed creative intelligence of the Territory (and beyond), integrating, sharing and building upon these ideas. Deep thinkers and experienced practitioners who understand the architecture of Salvationism. Creative artists and designers who understand the landscape of today’s culture and technologies. When networked together these Imagineers provide both the depth and creativity needed to make innovative, meaningful, relevant and user-friendly resources. We believe that innovation is essential to the sustainability of The Salvation Army in the future. Salvation Factory defines innovation as understanding the essentials of Salvationism, and developing new and creative ways to express these essentials in order to enhance and accelerate the mission of The Salvation Army. RESEARCH If we are to effectively innovate, we must have a deep understanding and appreciation for our heritage as Salvationists as well as the landscape of today’s culture and technologies. Research is the process of gathering together information, ideas and tools from both of these worlds. DEVELOPMENT Once productive research has taken place, imagineers integrate these concepts through an intentional and time-intensive process, allowing the best idea to surface. Through Imagineering Sessions this idea is elaborated and refined until the objective of the project has been met. DESIGN Once the ideas have been developed into a blueprint, the design process is applied in the manufacturing of prototypes which test the concept or process. This allows for feedback, evaluation and refinement until a final product is selected and approved. Salvation Factory provides both practical resources as well as teaching and training on a variety of topics related to innovation and creativity in Salvation Army mission and ministry. Salvation Factory’s purpose is to develop and design products that are specifically tailored for The Salvation Army. The objective behind every resource and training provided is to strengthen the essence of Salvationism and enhance it with creativity and innovation, in order for the message of salvation to have its greatest impact in today’s and future generations.